Our products are 100% reclaimed! Jamestown Rustic Slims are one of our oldest and most unique street brick pavers. These narrow pavers are excellent for creating intricate and delicate patterns. The 9" L x 2.5" W x 4" H pavers are ideal for garden spaces. visit www.exbricks.com or call 716-691-3061. Let us add unique character to your next project with 100% reclaimed materials. down a beautiful and affordable path. Samples are available at our office for viewing or for shipping to your location. If you were forwarded this newsletter and would like to receive your own copy, sign up here. 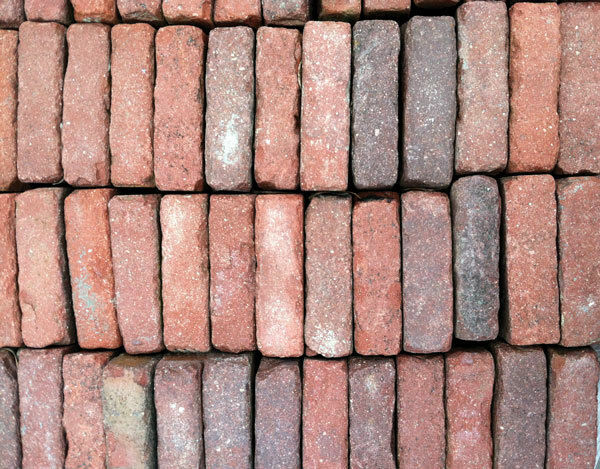 Experienced Bricks will be happy to visit your site and provide a quote for the purchase and removal of any materials that may be suitable for reclamation. Copyright © 2013 Experienced Brick & Stone, All rights reserved.